During the Television Critics Association (TCA) winter press tour, truTV announced it has renewed the Billy on the Street TV show. In Billy on the Street, comedian Billy Eichner hosts his impromptu gameshow with celebrity guests and unknown passers-by. Recent celebrity guests include: Chris Pratt, Will Ferrell, Anna Kendrick, Sarah Jessica Parker and Julianne Moore. 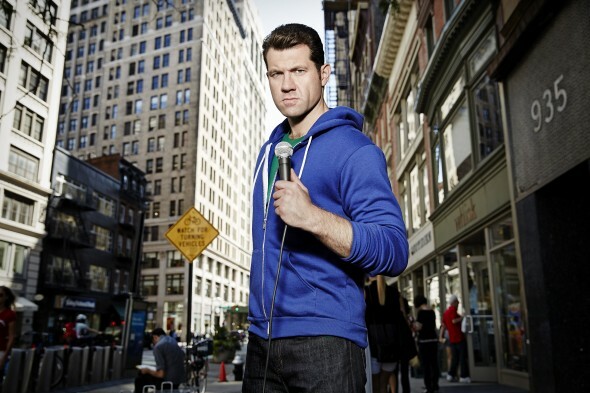 Billy on the Street will return for season 5 with Emmy®-nominated comedian Billy Eichner surprising more unsuspecting pedestrians with quick-witted, rapid-fire questions on pop-culture on the streets of New York City. In the show’s recently wrapped fourth season, some of the biggest names in Hollywood hit the pavement with Billy including Chris Pratt, Will Ferrell, Anna Kendrick, Sarah Jessica Parker and Julianne Moore. Produced by Funny Or Die, the fifth season will premiere on truTV in late 2016 with 10 half-hour episodes. Seen across multiple platforms in 90 million households, truTV delivers a fresh and unexpected take on comedy with such popular original series asImpractical Jokers,Billy on the Street,The Carbonaro Effect,Adam Ruins Everything, Hack My Life andFameless, as well as the upcoming original scripted comedy Those Who Can’t. And the fun doesn’t stop there. truTV is also a partner in airing the NCAA Division I Men’s Basketball Championship. What do you think? Are you a fan of the Billy on the Street TV series? Will you tune in for the fifth season?